Arachova is a mountainous village located in Viotia, Central Greece and the town is at the foot of the beautiful Parnassós mountain. 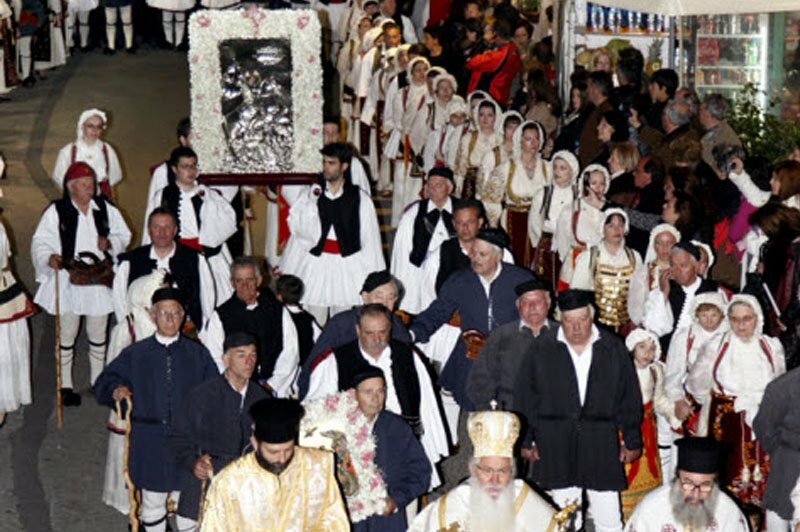 Every year Arachova is the setting for a local festival called ‘panigiraki’, which celebrates Saint George (Agios Georgios) who is considered the protector of the town. It also celebrates the nameday for all Greeks named George and Georgia. Greek Reporter was there live and streamed the festivities on our Facebook page. Our tour guide, Nassos, took us to center of the Saint George Festival where people dressed in traditional costumes, as the town people gathered for a Holy Mass to Saint George and a ceremony to honor the monument of National hero, Georgics Karaiskakis.